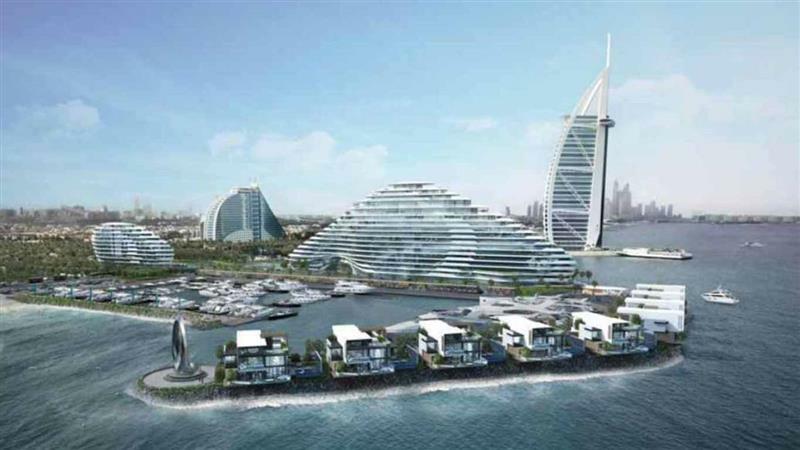 Jumeirah Beach Residence (JBR) is a 1.7 km long, waterfront community situated next to the Persian Gulf in Dubai Marina, Dubai, United Arab Emirates. It is a residential development consists 40 towers including 35 residential & 5 hotels. JBR can restrain around 15,000 people, living in its apartments and hotel rooms. The Project has comprises 6,917 apartments and penthouses. Jumeirah Beach Residence (JBR) divided into six residential blocks named as, Shams, Amwaj, Rimal, Bahar, Sadaf and Murjan. 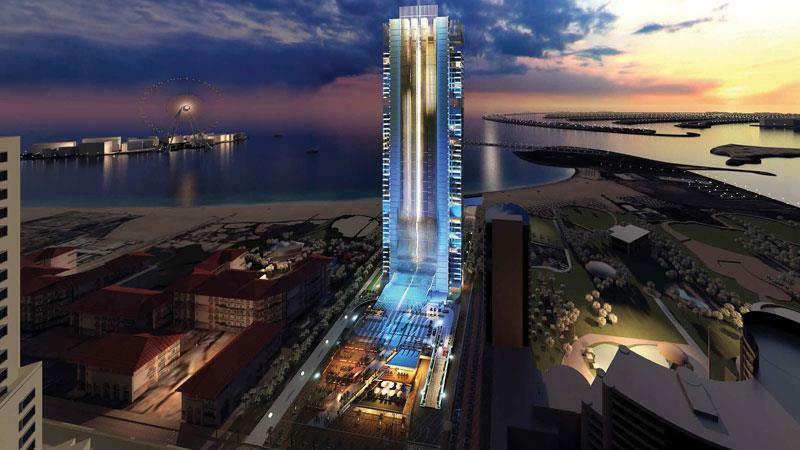 The island is also linked to Sheikh Zayed Road, a pedestrian bridge and cable car to Jumeirah Beach Residence.